NOLArunner: What's In a Name? The New York City Marathon announced a new presenting partner this week. 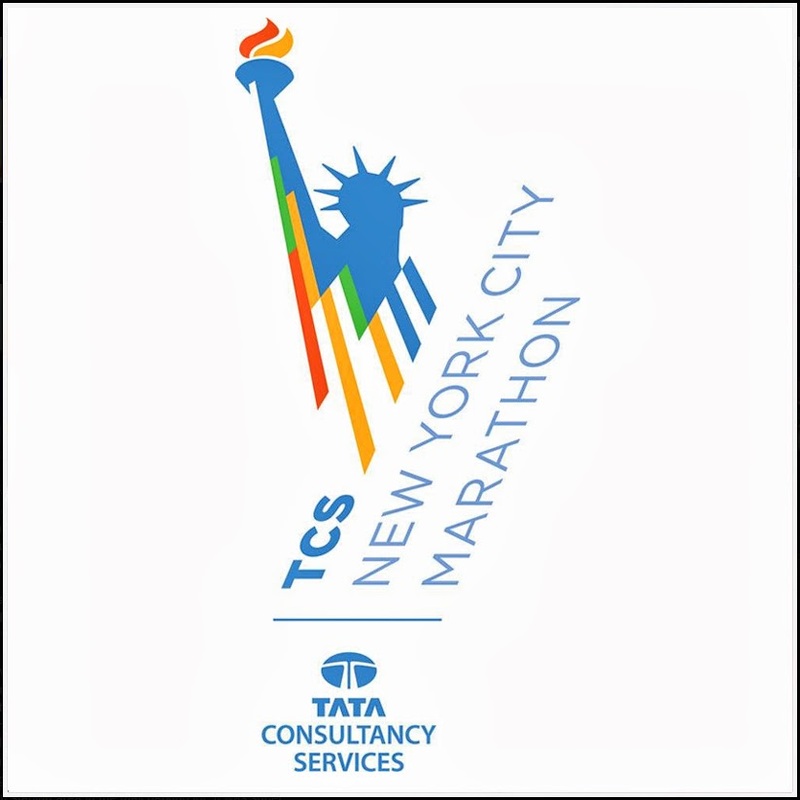 Tata Consultancy Services will now be a premiere partner of the New York Road Runners and will take over as the title sponsor of the biggest marathon in the country. Welcome to the decade of the TCS New York City Marathon! My first reaction to this announcement was "Why couldn't they use the name Tata in the branding of the marathon?" Of course it's shortened for brevity, but think of the race shirt options that a name like that would employ. The Race for the Cure people couldn't even compete with their "Save the Tatas" campaign. My inquiring mind wanted to know who exactly TCS is and what spurned their affiliation with the running community. According to the press release, NYRR has worked for some time with Tata on developing digital services provided as part of the NYC Marathon weekend, specifically the mobile app used to track runners and aid spectators. Also, it helps that the company's CEO is a runner who has completed 5 marathons. It's exciting to hear that the race and organization is supported by a company headed up by someone extremely familiar with the sport. From my experience in trying to run the New York City Marathon, this CEO is probably lobbying to get a guaranteed entry and bought a sponsorship just to avoid the lottery. Also of note was the classy way in which ING, the previous title partner of the marathon, synced up with NYRR in announcing the change of sponsorship. 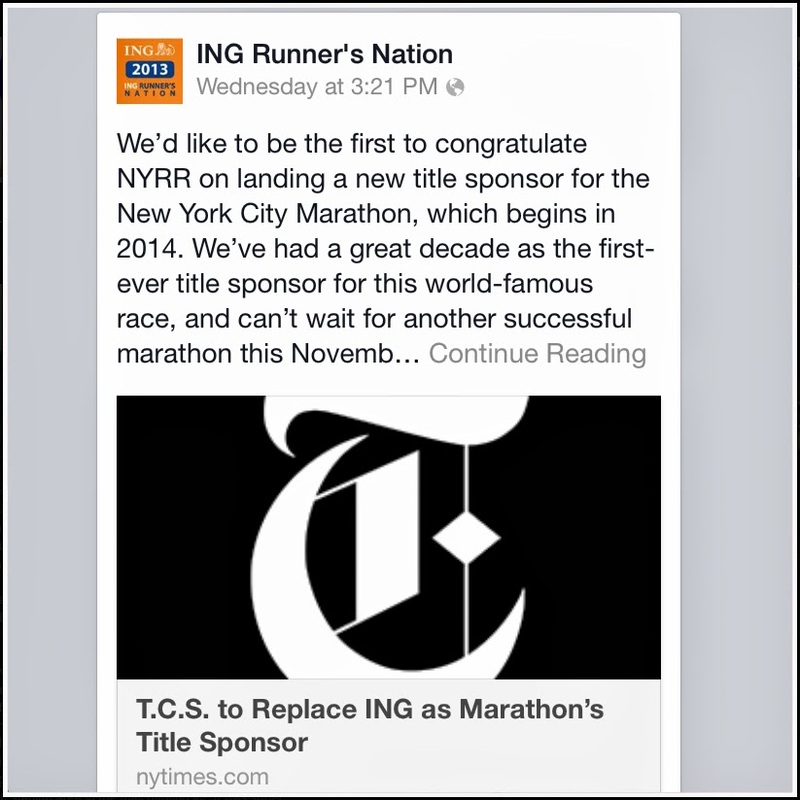 Minutes after the release went viral on Facebook and the NYRR website, ING posted in social media circles a congratulatory message to TCS and thanked NYRR for their long standing partnership. Ultimately all groups involved were making very strategic moves that not only best served their purposes as business, but also their actions ensured long-standing success for runners who participate in NYRR races. The ING New York City Marathon takes to the streets of the Big Apple one last time on November 3, 2014. Later that day the title will be changed and a new era will begin. It will be interesting to see how the transition goes as running takes these first steps in to the digital age. From a business perspective, I am sure that it is a costly sponsorship but it is great advertising. Are finances the reason why ING stopped its sponsorship? The real question would be if TCS will be able to maintain its sponsorship for the 10 years ING did. I would hate to see such a premier race change title sponsorship every few years. I know banking organizations have been having a tough time since the government bailout a couple years ago. Any guess on my part would be purely speculation as to why the partnership ended. The press release about the TCS says that its an 8 year contract with NYRR for naming rights, so barring anything drastic, they'll be in for at least that long. TCS is a global tech company, and must see opportunities with this partnership. Should be interesting to see how it develops.